Top 5 UK Mobile Providers only 3p per minute. UK Landline only 1p per minute. Per second billing, Pay only for your calls, 1p minimum call charge. Most UK Mobile just over half a penny per minute. UK Landline a quarter of a penny per minute. UK Mobile just over half a penny per minute. Comes with five channels and carrier rate calls. Direct VoIP are UK VoIP Providers who specialize in supplying Hosted VoIP PBXs and SIP Trunks. Though we have clients worldwide, the majority of our business comes from the UK. 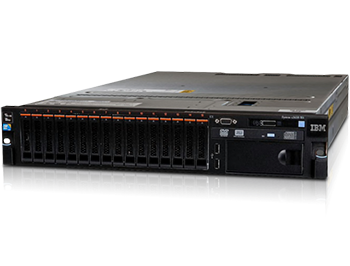 Our hardware is exclusively based in datacenters in the UK. We only accept payment by bank transfer and direct debit. Initial payments will need to be by bank transfer and subsequent payments by direct debit. When it comes to call quality, we make no compromise. Quality is paramount. With some clients regularly making 2000+ calls per day we have to make sure we only use the best routes for terminating our traffic. We buy the very best tier that the carriers can sell us. For clients wanting the ultimate in connectivity, our higher end packages offer cross datacenter failover. In the very unlikely event that an entire datacenter fails, clients using these packages are automatically switched over to standby equipment in another datacenter. At DirectVoIP we pride ourselves on doing that little bit more for the customer than is required. Having never advertised, most of our business comes from word of mouth and we need that word to be good. If your PBX needs setting up, no problem, within reason we will do all the work free of charge. Our technicians can often be found, out of hours, buried deep inside a customer's system. As well as offering support during regular business hours we tell customers to just call day or night. If you get an answer, we are open. We have one client based in India who regularly calls after 11pm! We are always looking to give our clients greater peace of mind. Currently, all trunks can have a maximum cost per call set and also a maximum connection fee. Other unpublished antifraud mechanisms are in place too. 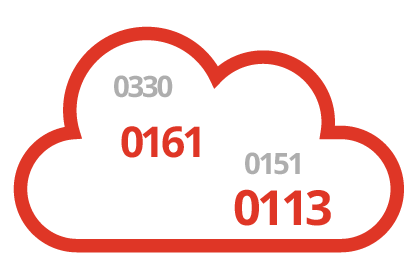 We can't say we have the best call rates in the UK but we certainly advise you to take a look around at some of our competitors' prices. We haven't found better. On our enterprise plans, with the big five UK mobile operators at just over a half penny per minute and with UK landline at a quarter of a penny you will be hard pushed to find better. Calculate the cost of a call by simply entering the number below. With UK Landline from ¼ pence per minute and UK Mobile from just over ½ pence per minute on our Enterprise Trunk. Pay only for your calls. Maximise your security with our Balance Lock feature. 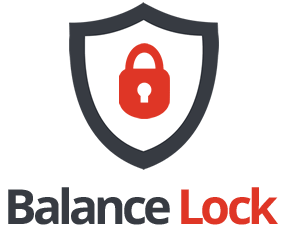 Lock your balance down to a fixed daily amount with Balance Lock, ensuring you never take a big hit again. Protect your balance by setting up a fixed daily available balance - Greatly reducing the risk of fraud. Lock your balance down with a fixed daily spend amount - Set an amount to be released for use each day, this greatly reduces the risk of fraud by only letting a small amount of your balance become available each day. Set a maxmium cost per minute on your account, ensuring you spend what you want, when you want with no suprise bills at the end of the month. We believe you shouldnt have to pay for peace of mind, thats why all of our plans include Balance Lock as standard. Enjoy some of the best UK mobile and UK landline rates in the country, only with DirectVoIP Enterprise. Why choose DirectVoIP to host your PBX? The following are just some of the great features you can expect during your time with us. We aim to provide excellent value for money without compromising on quality. Datacenter technicians on standby around the clock to ensure the highest possible uptimes. You will always know exactly what you need to pay and when with our pre-pay system. With no contracts, switching to and from our service has never been easier.